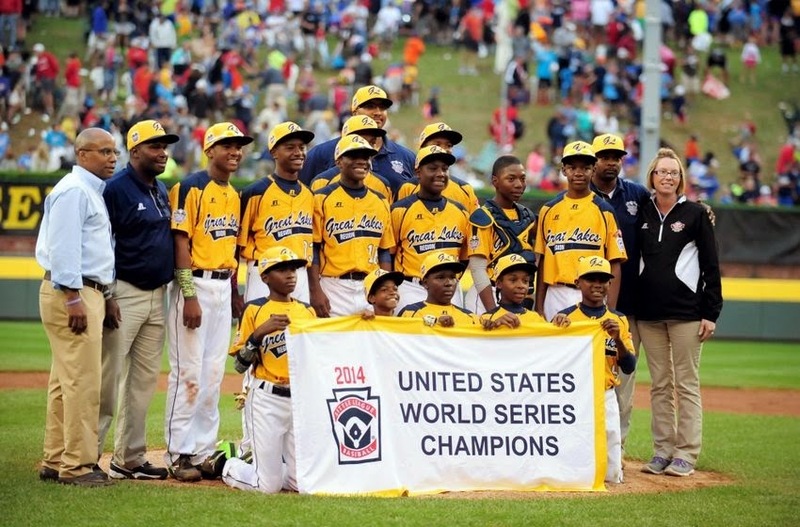 You can’t help but look at the story of the Chicago Little League team that was stripped of its US Championship title this week and feel sorry for the kids involved. They played their butts off and showed heart to win that standing and then got it taken away because of a technicality. But what a great teaching moment for these kids, their parents, and the population at large watching this story unfold! While the situation seems a bit unfair to the kids, who themselves had nothing to do with Jackie Robinson West using a falsified boundary map to build a super team of excellent players, they’re old enough to understand right and wrong. They’re mature enough to realize that every action has a ramification and that sometimes you end up standing on the wrong side of the equation, regardless of whether you make the active choice or end up there because of someone else. Bottom line, they’re learning accountability. They’re witnessing first hand that you can’t win by cheating. It stinks that the lesson is at their playing expense, but I’m guessing that this particular gem will stay with them and help build their characters, which will affect the type of players and adults they become. I bet those kids are mad and they have every right to be. Maybe they’re upset with the officials that made the under-handed boundary changes responsible for their unseating. Could be they’re annoyed at their parents for buying into the scheme or not questioning the change. Possibly they’re ticked at themselves for no listening to their guts, which may or may not have alerted them to a potential problem. I can’t even imagine what they’re feeling, but I do hope that they will take away from this moment in time a great lesson in integrity. Doing the right thing, or playing fair, as it relates to sports, even if it feels so horrifically bad right now, is always the way to go. While no one want to see kids lose trust in a coach, a parent, or an organization, the reality of the world is that there are cheats out there, folks that want to win or get or take, no matter what the expense of the actions taken to get there. What better way for our kids to learn to trust their own basic instincts and common sense when it comes to navigating their own lives? If it looks too good to be true, it probably is. While the specifics of the involvement level of the parents is up for grabs, there is no question that this scandal exemplifies the entitlement trend of adults and parents conveying the clear message to child athletes, students, and participants of any activity, that its no longer good enough to play, compete, or do just for the sake of fun, recreation, and building life skills No, in today’s world we will stop at nothing to make sure our kids are THE BEST at whatever they do. It gives me pause to re-evaluate the “why’s” of my own children’s activities. Am I part of the trend? Are you?